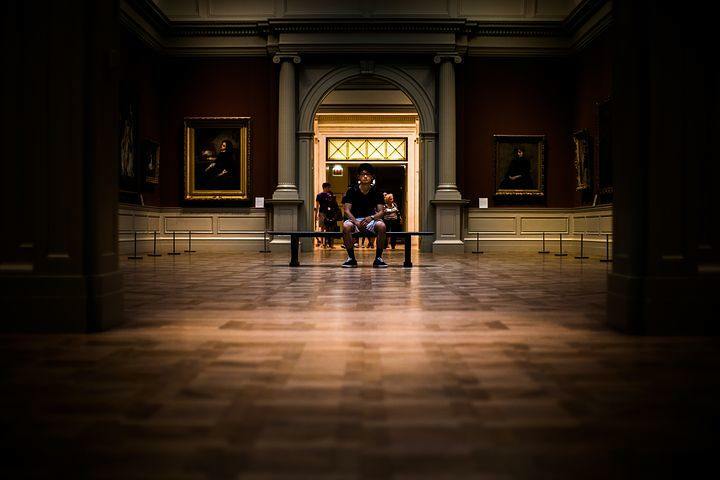 When you think of a museum, you often think about walking through aisles with red velvet ropes and walls of lined paintings, historical items under glass, and aged documents. But, did you ever think there would be a museum for snoring? Well, there is. Surprised? In Alfeld, Germany, there is a museum entirely dedicated to snoring. 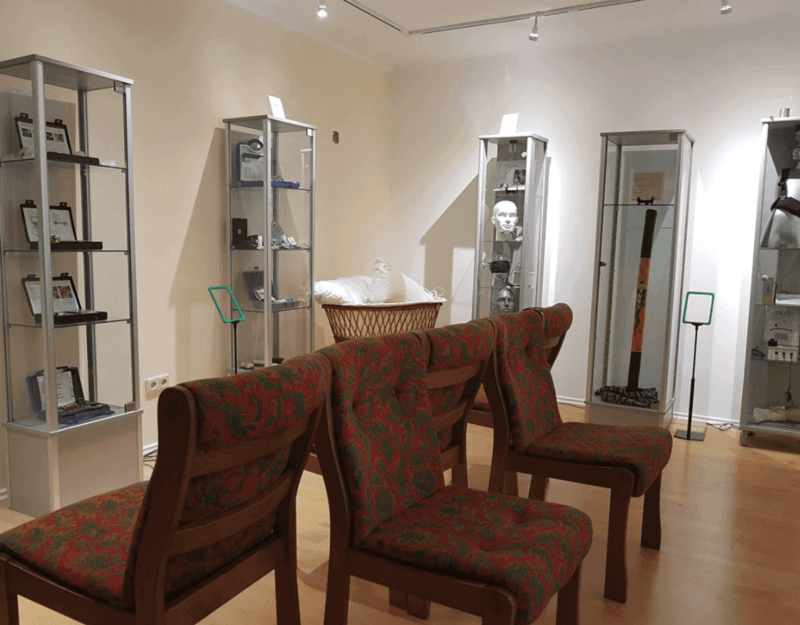 The museum, called Schnarchmuseum, is located in a small town in Lower Saxony and contains about 400 different snoring remedies that were collected by Dr. Josef Alexander Wirth. Dr. Wirth, a sleeping disorder specialist, collected many unusual and educational items about snoring. Most of them were given to him as gifts by his patients. He stored them in a basement for years before coming up with the idea of displaying them. He decided to make a museum. He collected the rest of his oddities through the internet before finally opening The Museum of Snoring, in early 2000. Dr. Wirth was greatly supported by a local organization called the Schlafapnoe Society. Schlafapnoe means “sleep apnea” in German. The museum resides in a small house located in a residential area with the items displayed in four thematically-set rooms. 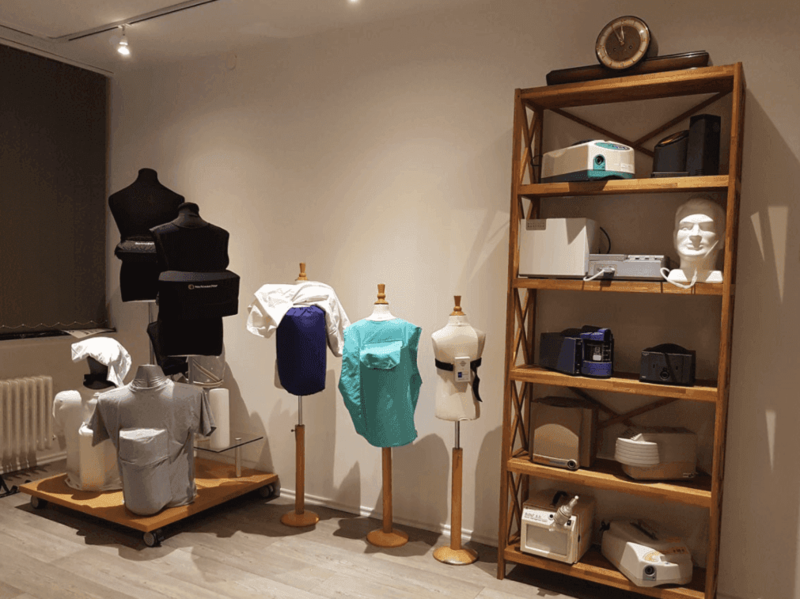 The Schnarchmuseum includes over 400 different items relating to snoring. Some of the items on display are similar to the anti-snore products we see on the market today. Some are rather barbaric. Among the exhibits is a room that was a sleep laboratory dating back to 1985. Another exhibit demonstrates a method used during the American Revolutionary War. The snoring soldiers had a cannonball stitched into their uniforms to keep them on their sides while sleeping so they couldn’t roll onto their backs and snore, thus disturbing the other soldiers. Today, we have a technique similar to that, but instead of a cannonball, a collection of tennis balls or a thick, foam cushion is used. There is an anti-snoring mask which is one hundred years old. It has leather straps that were wrapped around the chin to keep the mouth closed. Then there is an empty tube that is filled with essential oils. When lit, it clears the nasal airways of the snorer. Another peculiar exhibit is an “ear candle” or “ear suppository,” which is placed in the snorer’s ear to prevent him from turning over on his side. Another case displays oral prosthetics or special dentures designed to move the lower jaw forward. There are display cases of “nose pins” that enlarge the nostrils allowing more oxygen come in. There are devices that are fastened to the hands or legs that start vibrating at the onset of snoring. Some even give an electric shock. Probably the most amusing of them all is the display that houses a didgeridoo from Australia. Discovered by Swiss researchers, it was found that the instrument helped patients suffering from mild cases of sleep apnea (when breathing becomes shallow or stops while sleeping) because it strengthens the muscles of the throat. This helps to keep the air passageways open while sleeping. Additionally, there is a whole collection of stories and caricatures about famous snorers. Possibly the most famous of them all was the British Prime Minister, Winston Churchill. In his later years, he was overweight, drank his fair share of Cognac and enjoyed his cigars. His snoring was so loud during the night that Lady Churchill would have to sleep in another room. She spent many years of their marriage in a separate bedroom that had special soundproofing. Does this sleeping arrangement sound familiar? It is said that the composer, Johannes Brahms snoring was louder than his whole orchestra. There are stories that the physicist, Albert Einstein and the Greek God, Dionysus were heavy snorers. Along with the pictures and books, you can see a collection of small stuffed animals and dolls that snore when squeezed. Many of the exhibits resemble modern anti-snoring devices such as nasal strips, MADs and even the CPAP. Even the holistic remedies such as using essential oils to ease congestions are common today. Schnarmuseum is far from the stuffy and boring preconception we have of traditional museums and is a wealth of knowledge into this problem that afflicts so many people all over the world.